There will be a PUBLIC HEARING on Thursday, April 04, 2013, 1:00 PM, Cross Building, Room 214 on the beekeeper limited liability law that MSBA has requested. We need to support the formation of a Working Group to get this bill moving forward. The health of honeybee colonies in the wild, those kept commercially, and kept by hobbyists has been in decline for years, caused by various pests, increased agricultural chemical usage, and increasing scarcity of forage. For the same reasons that honey bees are in decline, native pollinators are also less available. More than ever, beekeepers are needed to provide vital pollination services for production of a wide array of produce in both commercial and small scale farming operations as well as for gardening and horticulture in their surrounding communities. Small scale beekeepers (with a few hives in their own back yards and farm locations) make up over 90% of all the beekeepers in Maine. The colonies of these small scale beekeepers fill the need for pollination in their communities. LD 838 would support beekeeping on all scales by limiting liability for beekeepers who properly register their bee hives and who operate their apiaries in good faith and in accordance with established Best Management Practices. LD 838 would also offer significant incentive for beekeepers to register their hives. 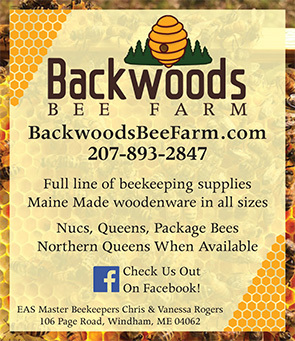 Beehive registration provides revenue for the Department of Agriculture and provides important information about the location of Apiaries, the number of beehives, and contact information for beekeepers operating in the State of Maine. Registration also supports the efforts of the State Apiarist responsible for inspecting beekeeping operations for study and management of diseases and pathogens affecting bee health. Beekeeping is important to our communities in a variety of ways. In addition to the jobs, products and services provided, beekeeping is also a great family hobby. The value of a vital and involved beekeeping community in Maine cannot be over stated. It is said that one out of three bites of the average American meal can be directly attributed to honeybee pollination and beekeepers ensure the health of that population. It is important to note also that honey bees pollinate many native species, providing vital food sources to wild birds and animals through pollination of crabapple, chokecherry, raspberries, wild blueberries and a vast array of other fruit, nut and seed producing plants upon which Maine’s wildlife population depends. LD 838 would encourage responsible beekeeping at all levels, allowing for a healthy pollinator population which will enable our landscape to remain an abundant source of food and forage and refuge for people and wildlife alike. This bill also would support the beekeeping community and would keep Maine’s State Insect, the Honey Bee healthy and active in our communities for years to come.